Born: 17 August 1755, Kinnettles, Angus, United Kingdom. Died: 21 June 1810, at sea, off Cape Horn. William Paterson, army officer and naturalist, was the son of David Paterson, a gardener. He received an elementary education and was trained in horticulture, probably by William Forsyth, gardener to the Worshipful Company of Apothecaries at their botanic garden in Chelsea, London. At the age of 21 he was appointed to collect plants at the Cape of Good Hope by the eccentric Countess of Strathmore (Mary E. Strathmore, born Bowes, 1749-1800), whose family seat, Glamis Castle, was only five kilometers from Paterson's birthplace. He arrived at the Cape in May 1777. The botanist C.P. Thunberg* met him there and wrote that Paterson "possessed some knowledge of botany, but was, in fact a gardener" (Forbes, 1986, p. 329). At the instigation of her second husband the Countess withdrew her backing, with the result that Paterson had to borrow money to cover his expenses. During the next three years he undertook four plant-collecting journeys into the interior, totalling some 8000 km. In October 1777 he accompanied R.J. Gordon* on the latter's (first) journey to the Orange River. They travelled via present Caledon and Swellendam, across the Langeberg at Plattekloof into the Little Karoo, through the Groot-Swartberge to the present site of Willowmore and on to Beervlei. Here Paterson turned back because of ill health. On the return journey he met C.H. Leiste*, who was doing survey work for the government. From Mossel Bay he made a detour eastwards to the Witelsrivier to visit the Outeniqua forests, eventually reaching Cape Town in January 1778. From May to November that year he undertook a second journey, accompanied by Sebastian van Reenen. They travelled via Stellenbosch, the Buffeljag River (where he made an extensive collection), and Swellendam, crossed the Plattekloof to Verkeerde Vlei at the head of the Hex River pass, on to Ceres and the Koue Bokkeveld to the Hantam area, where Van Reenen's father had a farm. Here he described and drew Amaryllis disticha (now Boophane disticha), noting that the plant was poisonous to cattle and used as a poison by the San. Continuing north-west to the Bokkeveldberg they descended the mountains to join the route to Namaqualand. Travelling via the sites of present Garies and Springbok they reached the Orange River near Goodhouse on 7 September and after remaining three weeks along the river returned to Cape Town. On this journey Paterson made daily observations of temperature and wind direction. He undertook his third journey from December 1778 to March 1779, again in the company of Van Reenen, travelling eastwards via Swellendam, through Attaquas (now Attakwas) Kloof into the Little Karoo, and along the Langkloof, where he collected many plants, to St Francis Bay. He then turned eastwards to Zwartkops saltpan, proceeded via the site of Grahamstown, and crossed the Great Fish River some 30km from the coast. He turned back just short of the Keiskamma River, becoming the first plant collector to reach this region. On his fourth journey, from June to December 1779, he was again accompanied by Van Reenen and, for part of the time, by Gordon. In July, at Ellenboogfontein near present Kamieskroon, they met the deserter Hendrik J. Wikar* who shared his knowledge of the Orange River and the people living along it. From the mouth of the Buffels River they proceeded northwards along the coast. Just north of present Port Nolloth they found fossil shells in a raised beach deposit [now regarded as belonging to the Alexandria Formation]. This was the first recorded fossil find in southern Africa, which Paterson described. Despite a lack of water they pressed on, reaching the mouth of the Orange River on 17 August. They were the first Europeans known to have reached the mouth of the river overland, and Paterson was the first to describe the vegetation there. After returning to Ellenboogfontein he travelled northwards and crossed the Orange River above Ramansdrift into what is now Namibia, penetrating as far north as present Warmbad. Returning to Cape Town in December, he left the colony in March 1780, travelling on the same ship as Colonel H. von Prehn*. Paterson travelled a greater distance in South Africa than any other visitor during the eighteenth century. He sent live plants and seeds from the Cape to Lady Strathmore, some of which were passed on to Kew Gardens, and also to William Forsyth, Sir Joseph Banks* and others. However, he did not publish descriptions of new species and his herbarium specimens were not made available for study to botanists, with the result that he received little recognition for his contributions to botany. Later he described his southern African travels in A narrative of four journeys into the country of the Hottentots, and Caffraria (London, 1789, 171 pp), including a map and 17 illustrations. It was the first book of travel in South Africa written in English and the information it contains is generally reliable. A second edition appeared the next year, as did French and German translations. Written in a terse and arid style, it reflects Paterson's youth and limited education. A handwritten manuscript of the book is housed in the Brenthurst Library, Johannesburg, as is Paterson's collection of some 300 water-colour drawings (probably not drawn by himself), mostly of Cape plants, animals and landscapes. The largely Australian plant genus Patersonia (Family Iridaceae)and two species of Cape plants, Erica patersonia and Sarcocaulon patersonii, were named after him. In October 1781 Paterson obtained a commission as an ensign in the 98th regiment and accompanied the fleet of Commodore G. Johnstone to India. The fleet called at Saldanha in June and, as England was at war with the Netherlands and France, captured some Dutch ships. Paterson's presence in the fleet was strongly resented at the Cape, where it was believed that his previous journeys had been spying missions. While in India he took part in the second Mysore War (1780-1784). He was promoted to lieutenant and returned to Britain in 1785. In 1787 he married Elizabeth Driver, but they had no children. After being promoted to captain in the newly created New South Wales corps in June 1789 he and his wife sailed for the convict settlement that had just been founded at Botany Bay (the site of modern Sydney), Australia, in 1791, visiting the Cape on the way from June to August that year. In Australia he was first put in charge of the penal colony on Norfolk Island (1791-1793). 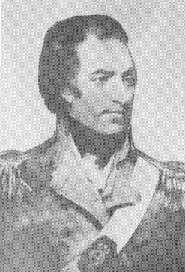 From December 1794 he was placed in charge of the settlement for nine months and not long afterwards was promoted to major. While on his way to Britain on sick leave in 1796-1797 he touched at the Cape, where R.J. Gordon's widow gave him three merino sheep which he took to England. There he was promoted to lieutenant-colonel in 1798, and was elected a Fellow of the Linnean Society (1797) and a Fellow of the Royal Society of London (1798). He returned to Sydney in 1799 and served as lieutenant-governor for some time from 1801. In 1804 he founded a penal station in Tasmania and remained there to 1808. The next year he again served as lieutenant-governor for a few months, but proved to be a weak and inefficient commander. He finally left Australia with his wife in May 1810, but died on the way home. Throughout his career in Australia he retained his interest in natural history and regularly sent specimens and descriptions to his correspondents in Britain. He discovered several new plants, and imported others. Britten, J. Some early Cape botanists and collectors. Journal of the Linnean Society (Botany), 1920-1922, Vol. 45, pp. 29-51. Brown, A.C. (ed.) A history of scientific endeavour in South Africa (Ch 1 by W.J. Talbot and Ch 2 by V.S. Forbes). Cape Town: Royal Society of South Africa, 1977. Forbes, V.S. Pioneer travellers in South Africa: a geographical commentary upon routes, records, observations and opinions of travellers at the Cape, 1750-1800. Cape Town: Balkema, 1965. Forbes, V.S. Carl Peter Thunberg. Travels at the Cape of Good Hope, 1772-1775. Cape Town: Van Riebeeck Society, Series 2, No. 17, 1986. Forbes, V.S. & Rourke, J. Paterson's Cape travels, 1777 to 1779. Johannesburg: Brenthurst Press, 1980. Hutchinson, J. A botanist in southern Africa. London: Gawthorn, 1946. MacRae, C. Life etched in stone: Fossils of South Africa. Johannesburg: Geological Society of South Africa, 1999.